Mickie is an experienced and engaging speaker on Mindfulness and has done so in many different settings – corporate as well as medical. She is knowledgeable and engaging, speaking about the science as well as the highly practical nature of mindfulness. 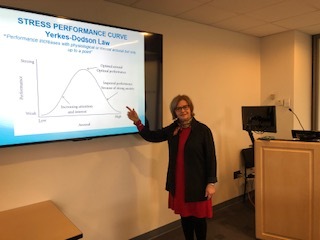 Throughout her talks, Mickie weaves in experiential learning, providing valuable tools for participants to work more effectively and holistically with stressors encountered in personal and professional life. Mickie is available for day-long workshops as well as shorter speaking engagements.